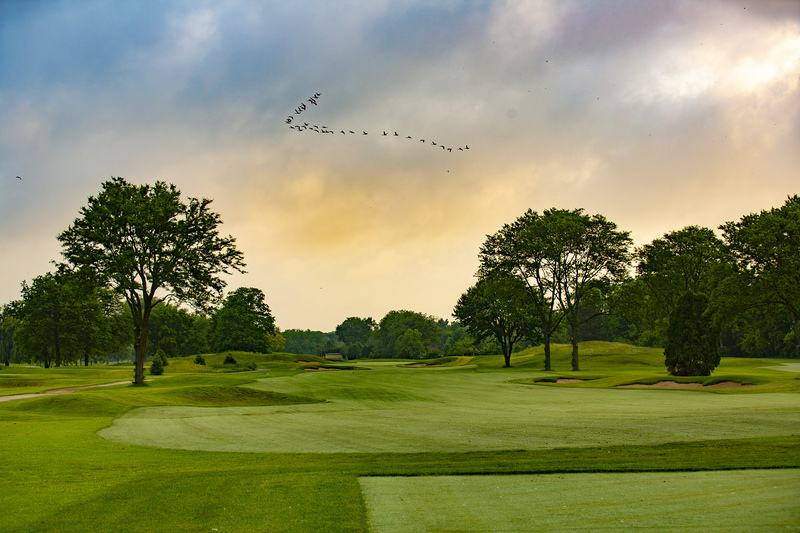 Chicago Northshore’s Sunset Valley Golf Club in Highland Park, IL reopened to the public after an extensive $7 million renovation to the course and clubhouse. The new 18-hole course reflects a unique British Heathland design with an openness accentuated with strategic landforms, flowing masses of native grasses and groves of trees. The new course layout provides dramatic panoramic views and challenges the golfer’s mental toughness to focus on executing the shot at hand. Sunset’s new high-efficiency, lithium ion golf cart fleet drives with zero-emissions and features interactive GPS touch screen monitors including: HD hole graphics so golfers can visualize specifics of the location of water hazards, bunkers and pin placement; on-screen pro tips; digital scorecard offers email option; yardage to pin; 3D hole flyover with full screen HD video; food & beverage menus and ordering. The newly remodeled clubhouse features an expanded golf shop, the new 13ninety restaurant, a cozy lounge area with fireplace. The clubhouse is a destination for guests and golfers to relax and Enjoy the Sunset.